The port city of Osaka, Japan, is an eclectic one that tastefully blends modern city life with country charm. If you’re looking for a fun-filled adventure, look no further than this day-by-day guide and then search IHG hotels in Osaka to plan your perfect trip. While Osaka is most known for its shopping, nightlife and food, the city doesn’t lack in its history or culture. Whether you’re a history buff or just want to learn and experience everything you can about this Japanese city, the following are the historical and cultural places to visit in Osaka. The castle tower is open 9 a.m. to 5 p.m., with the last entry time being 4:30 p.m. It’s closed December 28 to January 1. The most famous of the city’s landmarks, Osaka Castle is a historical symbol dating back to the late 1500s that has faced devastation and rebirth throughout its lifetime. Take a walking tour back to ancient times through various exhibits and the informative museum about the castle and Toyotomi Hideyoshi inside the tower. And make sure to enjoy the views from the castle tower, Nishinomaru Garden and especially the gorgeous cherry blossoms found throughout the Osaka Castle Park, whose blossoms look best in April. An entrance fee is required for the castle tower and garden. Open from 9:30 a.m. to 5 p.m., except on Fridays when it stays open until 8 p.m., and you must enter 30 minutes before closing. The museum is closed on Tuesdays, or the next day if a national holiday falls on a Tuesday, and from December 28 to January 4. Continue your historical tour of the city at Osaka’s Museum of History, which is just across the street from Osaka Castle. The museum takes you back in time to when the city first began and was Japan’s first capital city up through the bustling metropolis of the early Showa Period through life-size models, movies and photographs. With its permanent and special exhibits as well as hands-on learning programs, the Museum of History is a fun learning experience for tourists of every age. Adults must pay 600 yen, high school and university students 400 yen while junior high and elementary aged students enter for free. Open daily from 6 a.m. to 5 p.m., except between October and March when the shrine doesn’t open until 6:30 a.m.
Sumiyoshi Taisha is a spot that combines history and culture. As one of Japan’s oldest shrines, it provides visitors with a unique look at shrine architecture that’s viewed as being purely Japanese. And don’t forget to snap a selfie of yourself on the drum bridge. Come visit the four main halls during the mornings for a time of peaceful reflection and prayer or visit on New Year’s Day for a day of celebration with the locals. There is no fee to visit Sumiyoshi Taisha. The inner precinct, garden and treasure house are open from 8:30 a.m. to 4:30 p.m., except between October and March when they close at 4:00 p.m.
One of Japan’s oldest Buddhist temples, Shitennoji Temple was the first to ever be constructed by the state. It’s one of the most serene Osaka tourist attractions, with some of the most beautiful interior art and sculptures. Visit the temple’s outer grounds for free, or pay 300 yen to step inside the inner precinct to see a five-storied pagoda and the scenic Gokuraku-jodo Garden or 500 yen for the treasure house, which showcases periodic temple paintings and scriptures. Open from 10 a.m. to 6 p.m. This cultural museum is quite the sight to see—the interior and exterior of it. Osaka Culturarium at Tempozan displays rotating fine art and botanical exhibits throughout the year and offers diverse cultural activities thanks to its collaboration with the Osaka Aquarium Kaiyukan and other Tempozan Harbor Village facilities. It’s an interesting visit that’s only about a five-minute walk from the metro center line, city bus or Hanshin Expressway. An entrance fee may be charged based on events. 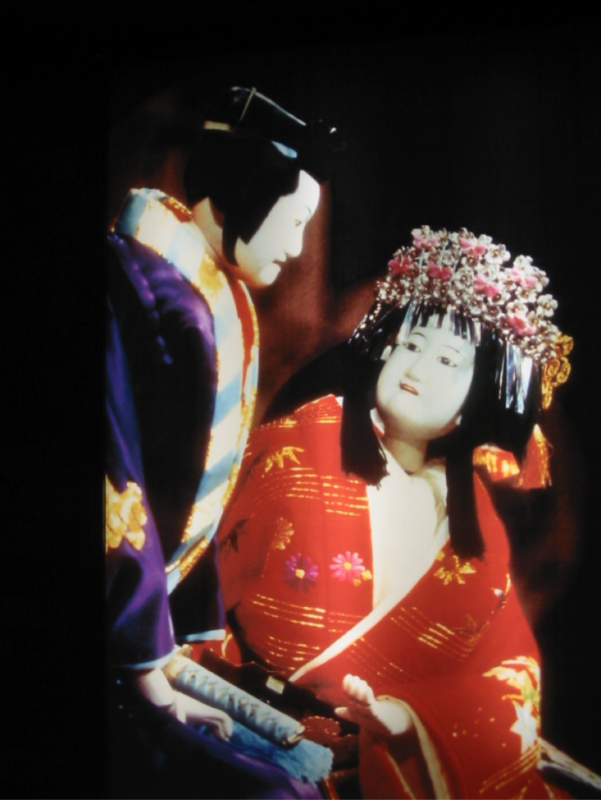 Spend your night captivated by the music and storytelling of traditional Japanese puppet theater at the National Bunraku Theatre. This Osaka theater is one of the few still showcasing this intriguing art form. If you don’t understand Japanese, headphones that translate the performance into English are available at the ticket area. Performances don’t run every day, just certain months during the year, so check the schedule before planning your trip. From Osaka sightseeing to becoming one with nature, here’s your guide to Osaka attractions, appreciated by locals and tourists. Open daily from 10 a.m. to 10:30 p.m., with the last entrance allowed at 10:00 p.m.
Umeda Sky Building doesn’t just provide the best bird’s-eye views of the city; it’s also one of the most noticeable parts of Osaka’s skyline and a remarkable piece of architecture. It stands 173 meters tall, and the Floating Garden Observatory connects its two towers at the 39th floor. Take in the scenic panoramic views from the observation deck windows or the open-air deck. But these incredible views come for a price, 1000 yen for adults, but it’s worth it to mark this off your bucket list. Operational hours vary by season but are as follows: 10 a.m. to 8 p.m., 8:30 a.m. to 8:30 p.m. and 9:30 a.m. to 8 p.m., with the last admission being one hour before closing time. One of the biggest aquariums in the world, every marine biologist, scuba diver, marine pet parent and child will love a visit to the Osaka Aquarium Kaiyukan. Immerse yourself into the Pacific Rim, while staying dry, and feel like you’re swimming along with various marine life, like colorful fish and great whale sharks. Displayed in 15 large tanks spanning several floors, it’s a morning or afternoon “under the sea” well spent no matter the outside temperatures. Kids under 3 are free, but everyone else must purchase a ticket, ranging from 600 to 2300 yen based on age. Roughly 30 minutes from Osaka’s downtown Umeda area sits Minoo Park. This forested valley is your nature escape from the hustle and bustle of busy city life. Take a 3 km hike that leads to the rushing, 33-foot-tall Minoo Waterfall. The hike is mostly paved and should only take you 45 minutes to walk it one way; a walk that takes you by temples, shops and a forest of trees. Autumn, specifically late November, is the best time to visit as the orange, red and golden yellow fall foliage provides the perfect backdrop. The city’s two main shopping districts are Umeda (north) and Namba (south), with tons of department stores, underground malls and shopping arcades in each. For all you fashionistas, head to Shinsaibashi, as it’s one of the biggest shopping centers in Osaka. With an array of stores, you’ll find luxury boutiques, low-priced shops, well-known name brands and everything fashion, cosmetic and in between. There’s also the historical Tenjinbashisuji Shotengai, or the Shopping Street. As the longest shopping strip inside the city, you’ll walk from one end to the other and head back to your hotel with an arm full of bags and Osaka specialties. Another city gem is Grand Front Osaka, offering shopping, Panasonic Center’s interactive showroom and dining all wrapped in an elegant experience. Osaka has various nicknames, like the City of Business and the Venice of Japan, but the one we most like to use is the City of Kuidaore, which means eat until you drop. And that’s exactly what you’ll do here, as Osaka has a reputation for being a foodie’s paradise. The must-try foods in Osaka include: okonomiyaki, a savory pancake customized with your choice of meat or noodles; hakozushi, boxed sushi and an Osaka staple; takoyaki, ball-shaped octopus fritters; and barbecue pork buns, famous fluffy buns packed with pork filling that you must get handmade from 551 Horai. Your food guide to Osaka wouldn’t be complete without a list of the city’s most savory food stops. For charming eateries and Japan’s best street food, stroll through the brightly lit Dotonbori. It’s also great for people watching and has some shopping as well. For the freshest seafood, and delicacies like diver scallops and Kobe beef, make your way to Kuromon Ichiba Market. It’s affordable eating that doesn’t skimp on the flavor. And for a truly memorable meal, Fujiya 1935 is a Michelin 3 star restaurant that delivers in every way. One recent reviewer said, “Every dish is satisfying not just in taste, presentation but also quantity.” Come for lunch or dinner, except on Sundays and the first Monday of the month when it’s closed.